Aisha, 27-year-old, was forced to flee her village in Hodeida four months ago. Now she lives in a shack located in the coastal area of Abyan in south Yemen. Aisha shares the shack with her brother and sister in law who also fled the violence in Hodeida seven months ago. “I got married when I was 15 years old and now I have five children. During the last pregnancy I suffered a lot. Our house was very close to the bombing and we had shrapnel inside our house in many occasions. I was in constant fear for myself, my kids, husband and the baby inside me. From the worries I also developed anemia and low blood pressure. When the fighting intensified, my husband and I decided to leave and join my brother. It was a big risk we had to take while being pregnant but there was no other choice,” tells Aisha. In August 2018, with the contributions from Kingdom of Saudi Arabia and United Arab Emirates, UNFPA launched the ‘Stay Safe Mama’ project to improve access to live-saving reproductive health services for women of childbearing age across nine governments in Yemen. Through the project, 300 health health facilities are being scaled up and maternity units equipped with reproductive health kits, medicines and essential supplies. Maternity units are supported with skilled health workers from obstetric gynecologists to midwives. In addition, midwives at the community level will be supported to set-up home-based clinics. 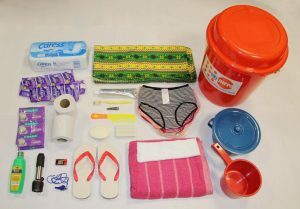 These will play a critical role in helping pregnant women in remote areas who lack the means to reach the nearest hospital with the care and support they need during pregnancy and childbirth. Aisha’s sister-in-law had a safe birth at a reproductive health center established under the ‘Stay Safe Mama’ project. Seeing Aisha’s worry about her delivery she advised Aisha to visit the center. 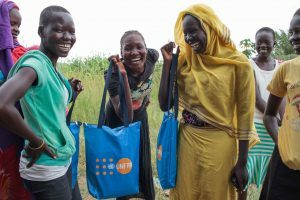 “The care I received at the centre was beyond what I expected,” Aisha tells UNFPA. “I had regular check ups, and when it was time to give birth, I was not worried anymore. I gave birth to a healthy baby girl,” she adds.